Palomas.Chihuahua. Mexico. 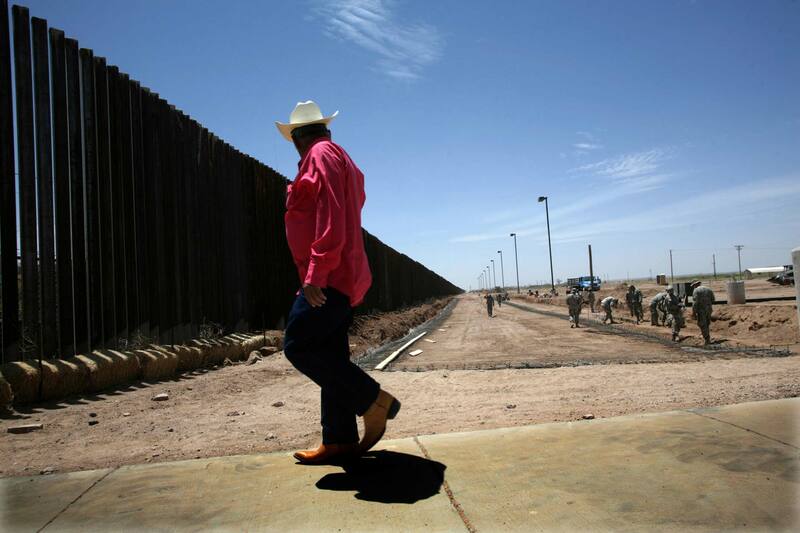 May 2008 A man walks past US troops reinforcing the border and the border wall in Palomas.